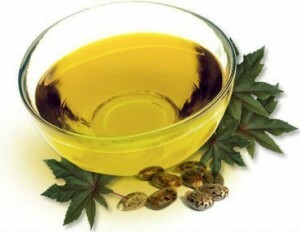 Many people are already aware of the various health benefits of castor oil. However, there are many different types of castor oil, such as black castor oil, hydrogenated castor oil and castor oil granules. One of the most popular types of castor oil is cold pressed castor oil, since this is considered to be the oil with the greatest concentration of nutrients. If you want to learn more about cold pressed castor oil and what it can do for you, read on. Some manufacturers make use of excessive heat, chemicals and solvent to extract the castor oil from the castor beans. Although this method of extraction is quicker and cheaper, the castor oil produced is inferior in quality because the oil’s purity is compromised. Furthermore, many of the nutrients and beneficial compounds are lost during the manufacturing process. That is not the case with cold pressed castor oil, which does not make use of excessive heat and other chemicals to produce the oil. Instead, natural methods of pressing are used. This process takes time, but produces 100% pure, food grade quality castor oil. Cold pressed castor oil can be used as a dietary supplement as it is suitable for both internal and external use. The purest form of cold pressed castor oil is virgin castor oil, which is produced from the first cold pressing of castor beans. It is considered to be the highest quality oil, since the first pressing releases the highest concentration of the castor beans’ minerals, nutrients and essential fatty acids. Virgin castor oil has a variety of health and wellness benefits. Cold pressed castor oil has anti-inflammatory, antibacterial, antifungal and antiviral properties which can help detoxify the intestines and blood vessels and keep them healthy. Castor oil can be used to ease inflammation, reduce blood pressure, clean the intestines, improve blood circulation, improve immune system function, stimulate the liver and gall bladder, reduce swelling and soothe irritated skin. Some of the problems that castor oil can cure include constipation, warts, intestinal parasites, fungal and yeast infections, bacterial infections, cysts, gallstones and painful joints. Cold pressed castor oil is extremely beneficial for hair and skin care. When you apply castor oil to your skin, the oil is quickly absorbed, moisturizing and softening the skin because of its emollient properties. Castor oil continues to work for days, keeping the skin soft and supple. You can also use castor oil to cure acne and ringworms. Castor oil can also help get rid of wrinkles, fine lines and other signs of aging. Even the appearance of scars and stretch marks can be reduced by castor oil. Among castor oil’s other uses are its ability to remove age spots, moles, warts, thick calluses and corns. Likewise, using cold pressed castor oil on the hair can strengthen the hair shaft, nourish the roots, and give you tangle-free, soft hair. It can help restore the hair’s lost nutrients, stimulating hair growth and increasing thickness. You can use castor oil to prevent hair loss and regenerate your hair so that you enjoy thick and healthy locks. You can even apply castor oil to the eyebrows and eyelashes to thicken and strengthen them. If you are suffering from scalp problems like dandruff, castor oil can help with these, too. Although cold pressed castor oil has a plethora of benefits for the hair and skin, take note that you need to apply it regularly in order for it to have an effect. You should start seeing results after six weeks of constant use.